HP has just unveiled its powerful new line of Graphics Workstations. The HP Z Series is popular with graphic designers and video editors; with the still available HP Z400 starting at just £11.25 + VAT per week on a lease from HardSoft Computers. With a Dual Core Xeon processor and up to 48GB RAM; you can see why this machine became popular within the creative industry……However, the new HP Z Series available in April is set to top this. As the workstation industry leader, HP continues to invest in technology that allows customers to push the limits of innovation. The new revised HP Z Series has a 2nd Generation Xeon Processor that allows for up to 16 cores in a single system. Available on a Flexi-Lease from HardSoft Computers; the new Z Series range is set to be priced at circa £11.80 + vat per week. 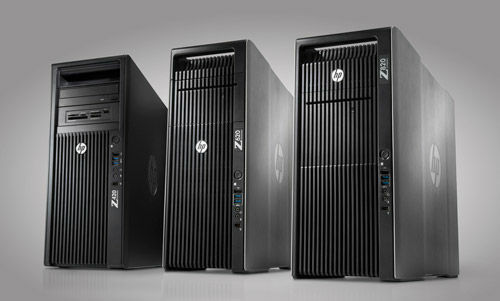 There will be 3 new HP Z Series Workstations; the Z420, Z620 and the Z820. Apple users waiting for an alleged Mac Pro may have to jump ship as these PC’s offer far faster specs. At the low-end of the range; the HP Z420 offers up to 8 cores, a 2nd generation Xeon E5-2600 processor, a maximum of 64GB RAM and 11TB of storage. For a ‘low-end’ machine, this will still be amazingly powerful and is bound to boost your computing performance. AND, will only cost you circa £11.80 + vat per week on a lease including three years on site warranty. 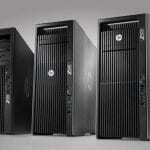 The mid-range HP Z Series Workstations is the HP Z620. This machine is ideal for users who need a high performance, yet low volume machine. The Z620 offers 16 cores, a maximum of 96GB RAM, 11TB of storage and a choice of either NVIDIA Quadro 6000M or 5000M graphics. On a flexible finance lease from HardSoft Computers, this will cost you £19.50 + vat per week. However, by far the most exiting of the range, is the Z820. And, as usual, this is the most expensive machine. But you know what they say, ‘you buy cheap, and you buy twice’. The Z820, again, offers up to 16 cores, up to 512GB RAM, up to 14TB of storage and the brand new NVIDIA Quadro 6000M graphics. The HP Z820 is set to cost you circa £25.80 + VAT on a leasing deal.